When corporations or professionals find themselves defending themselves in litigation that attracts media attention, the instinct is to respond to media requests with a statement like “We do not comment on pending legal matters.” But, does this approach make sense? Let’s think this through. Journalists need to tell a story; that is their job. Many journalists who cover these types of stories (e.g., Jesse Jones with KIRO News in Seattle, WA) are entertainers and their news programs are competing for viewers so they need to make the story as interesting and dramatic as possible. If the plaintiff is the only one to give the drama, it will be a plaintiff story. The plaintiff’s story is always an easy one to tell: the defendant did something bad, my client got hurt, and so the “bad” defendant needs to fix it. The defense’s story is typically more nuanced and detail-oriented, and difficult to summarize succinctly in a sound bite. Additionally, an inevitable side-effect of being a defendant is being defensive. So, the standard responses for defendants to the media tend to be guarded and noncommittal. We’ve all heard these statements a thousand times; it goes something like, “We do not comment on ongoing litigation matters.” This type of sanitized legal jargon, however, only strengthens the plaintiff’s narrative. It makes the defense look like they are afraid and have something to hide. Worse yet, it comes across as if there is no defense so everyone should just accept what the plaintiff has to say as truth. Under possibility #1, if the media can taint the jury pool, why would the defense ever cede control of the story over to the plaintiff? If the plaintiff can try to influence the pool, why shouldn’t the defense try to tell its own side of the story? Under possibility #2, if media attention does not influence the jury pool, what is the harm in telling the defense’s side? So, if media matters (Possibility 1), the defense should comment. If media doesn’t matter (Possibility 2), the defense should comment anyway because there is no harm and there is a chance to protect public perception of the defendant. Once a journal ist is on to a story, accept that it is going to happen. Trying to stop it through legal channels only makes the case more interesting for the journalist and motivates him or her to present the defendant as the bad guy. The backlash from attempts to silence the story would only make things worse. Make sure your perspective is covered from the very first media report. Do not wait to see what happens, discuss your response in committee, and respond days later. That will be too late; the story will already be out there and first impressions made. You only have one chance to make a first impression. So, use the media as an opportunity to shape the narrative and communicate strength. The goal for a defendant in a news story is not to win – that will happen in court. Instead, the goals are damage control and limiting the plaintiff’s power to control the story. Do not give the plaintiff a slam-dunk win with a “no comment” statement. Rather, the defense should aim to stay in the game by creating room for doubt and skepticism. 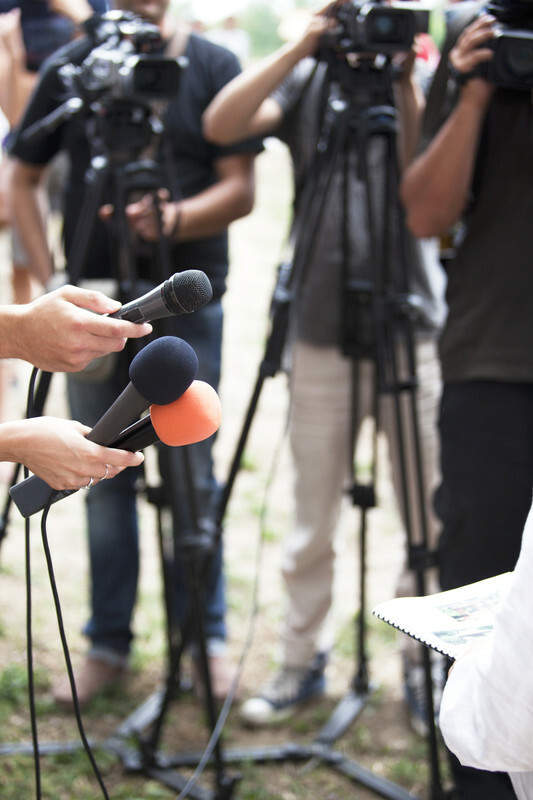 Give the journalist something substantial to say on behalf of the defense. Let viewers know there is more to the story. Create suspicion in the plaintiff’s story by pointing out errors in the allegations or offering facts that were not covered by the other side. Do not attempt to tell your entire defense story, just put out enough nuggets to show there is more to the story and that the defense cares enough to speak up. Furthermore, “showing” matters as much as “telling.” When possible, provide the journalists with something beyond a written statement. All forms of media (television, print, or online) need to include visuals whether it is photographs, illustrations, diagrams, or comments on video. The more the defense can offer to support their story, the larger share of the story they will have. Providing only a written statement is better than nothing, but it means your comments would be relegated to the last 10% of the news story. To be more of the story, there must be more to tell, or show. In today’s media environment, a defendant who stands up for themselves stands apart.